THIS FREE 4-PART VIDEO SERIES WILL HELP YOU UNDERSTAND THE THREE MAIN DIFFERENCES BETWEEN THE VOICE OF FEAR & YOUR INTUITION SO YOU CAN STOP DOUBTING YOURSELF + MORE POWERFULLY MAKE DECISIONS IN YOUR LIFE. 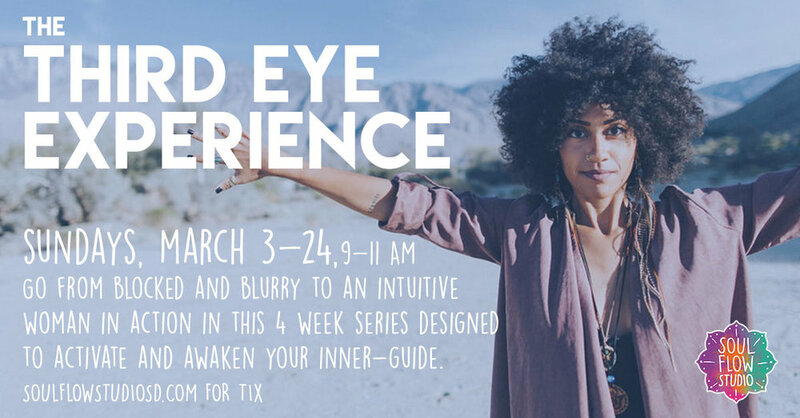 The Third Eye Experience is a 4-week journey to help you go from from blurry and blocked to an intuitive woman in action. Sister, it’s time to get out of your head and into your third eye so you can finally start feeling that clear and consistent connection with the Universe you’ve always wanted. The Soul Revival Experience a one-day immersion taught and led by Tori Washington, Intuitive Guide, Transformational Coach and Spiritual Mentor. The Soul Revival Experience is designed as a complete reset for your spiritual practice, physical body and mental peace. Through this experience, you'll go from stuck and unfulfilled to complete soul alignment, ready to go big in the world. Tori blends spiritual hacks, subconscious transformation, manifestation and energetic mastery to accelerate you towards your next-level self.